Your SUV Stretch Limousine or Luxury Cadillac Escalade will transfer you to our 5 Star VIP Lounge, where your Minister and Wedding Coordinator awaits. 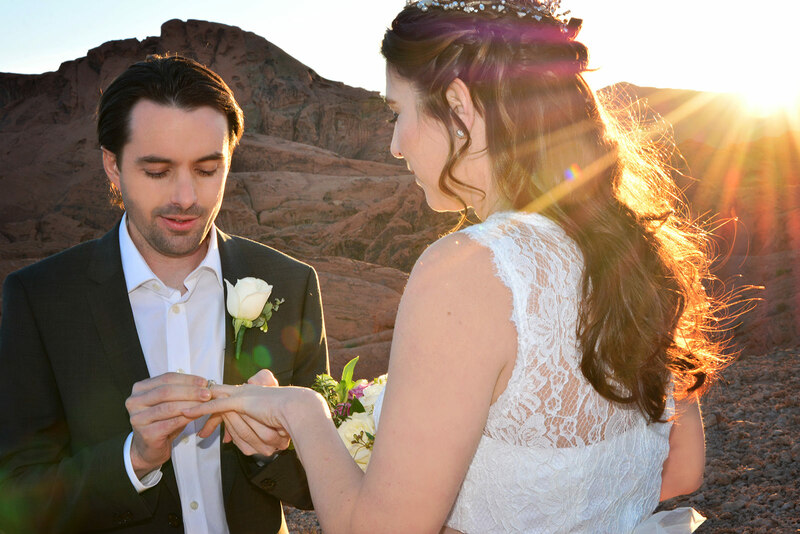 Your friendly Pilot will narrate, and interact with you throughout the entire experience, beginning with the Hoover Dam & Bypass Bridge, and ancient volcanoes, including Fortification Hill, being just some of the highlights that your wedding day has encompasses, before the wonders of the Valley of Fire open up before you. 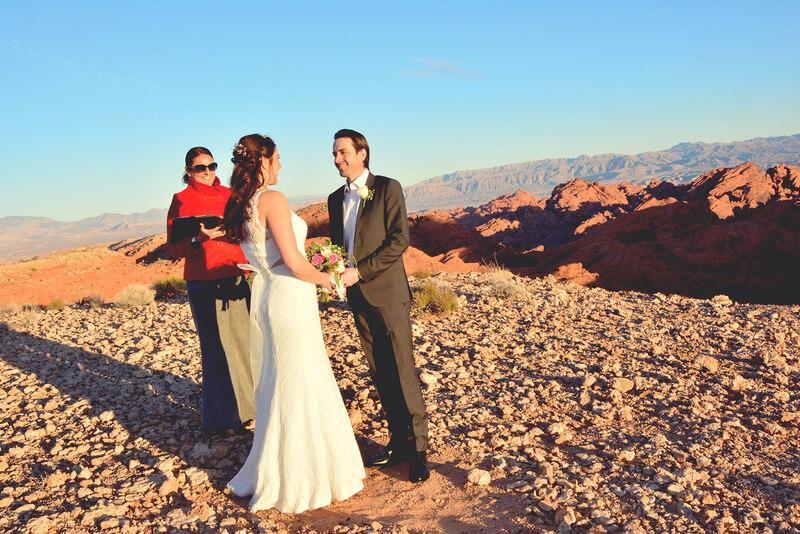 Upon landing, your wedding ceremony will now begin and surrounded by the Valley of Fire’s stunning scenery, your Minister will pronounce you married. Beautifully serene, the landing area is only accessible by helicopter, so enjoy the privacy as the sun begins to set, and you celebrate together with champagne. 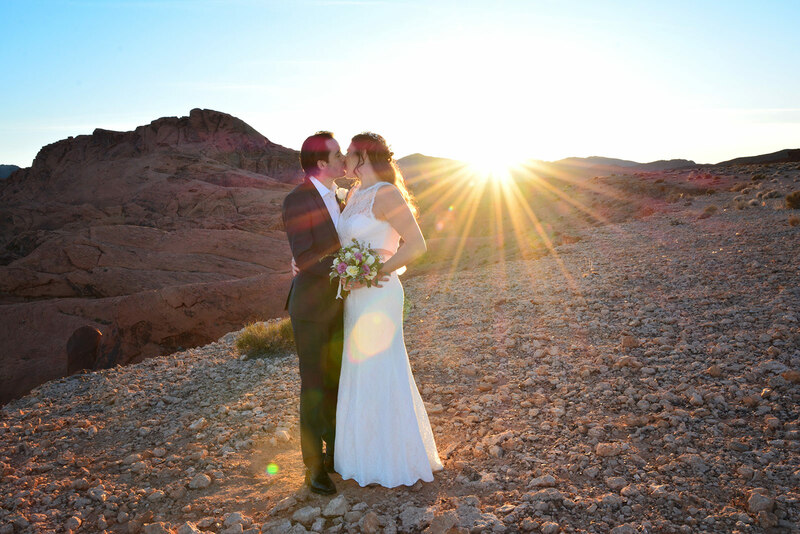 As you leave the Valley of Fire by private helicopter, begin the rest of your lives together with panoramic views of the Mojave Desert and Lake Mead, before returning to the 5 Star terminal, where your wedding cake and a champagne toast awaits you in our VIP Arrivals Lounge.